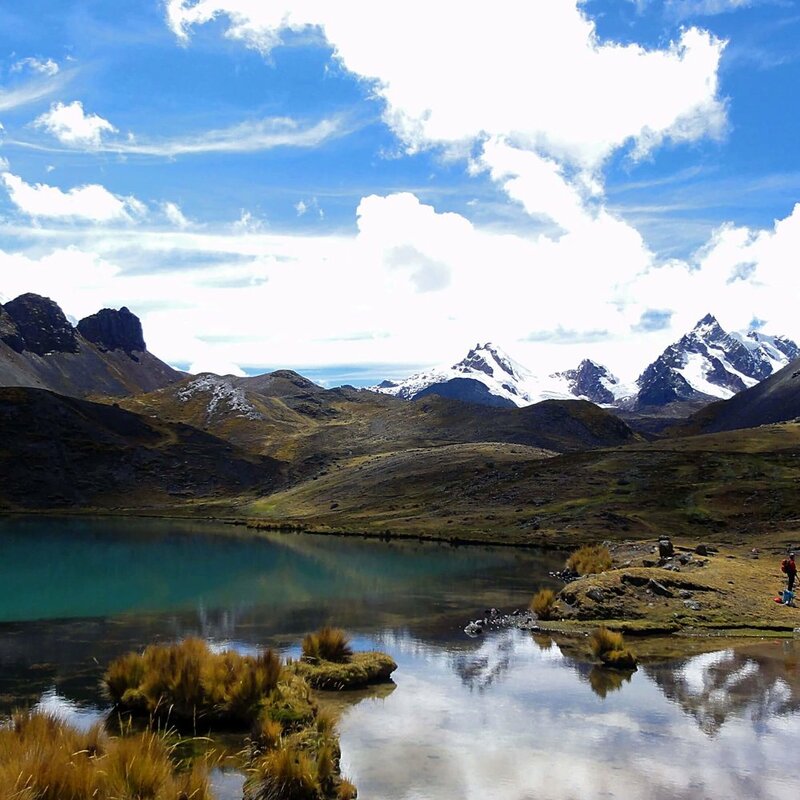 Give yourself two to three days to acclimate to Cusco before starting this trek. We have an early start by minibus to Cachora. Your guide meets you at your hotel before 6 AM, and you drive past the towns of Izcuchaca and Limatambo. Then, you cross the Apurimac River at Cunyac, the limit of the regions of Cusco and Apurimac. We stop for a short visit to the Stone of Saywite, then we continue to Cachora, and finally to the end of the road. After meeting our horse and driver team, we begin our hike towards Capuliyoc (viewpoint) where you can spot Choquequirao in the distance, as well as the mountains of the Cordillera Vilcabamba. You then start a long descent into the valley to Capuliyoc. The terrain and vegetation changes dramatically as we reach our campsite in Chiquisca, 6324’. We have an early start (before 7 AM) in order to avoid the heat while climbing up to Santa Rosa. There we meet a family who distils alcohol out of sugar canes. The trail then continues climbing to Maranpata, and along the way we see some orchids, and if we are lucky, we can spot some condors, foxes and surely many species of birds. Today you are camping at Maranpata camp 9320’. 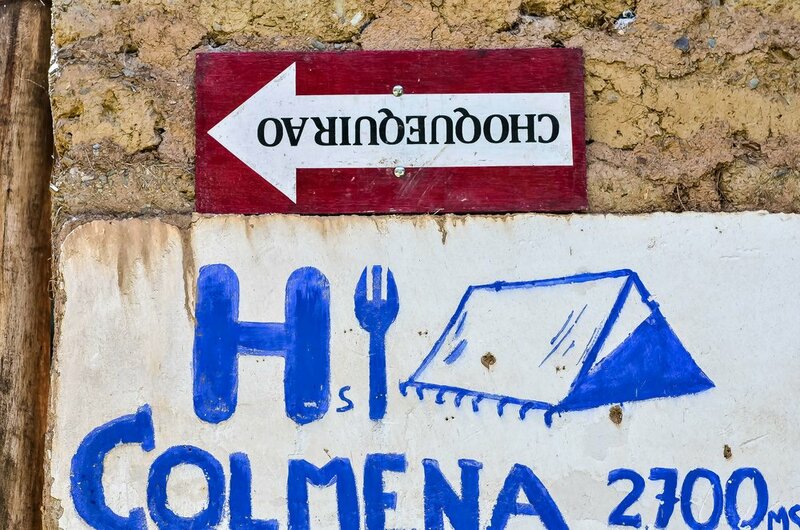 After our breakfast (not so early this morning), we start the hike to the ruins of Choquequirao. Along the path, not far from Maranpata, there is a lookout called Sunchupata where the views of the ruins and the many terraces on the mountain can be seen. Looking at the many terraces and their location, we can only imagine the work and skill demanded for such task. We arrive to Choquequirao in less than two hours, and have all day to explore and visit the complex. Our camp is set near the site. We have an easy start with no need to rush this morning! You can enjoy an early stroll towards the site before we break camp and start the descend through the same way we entered. 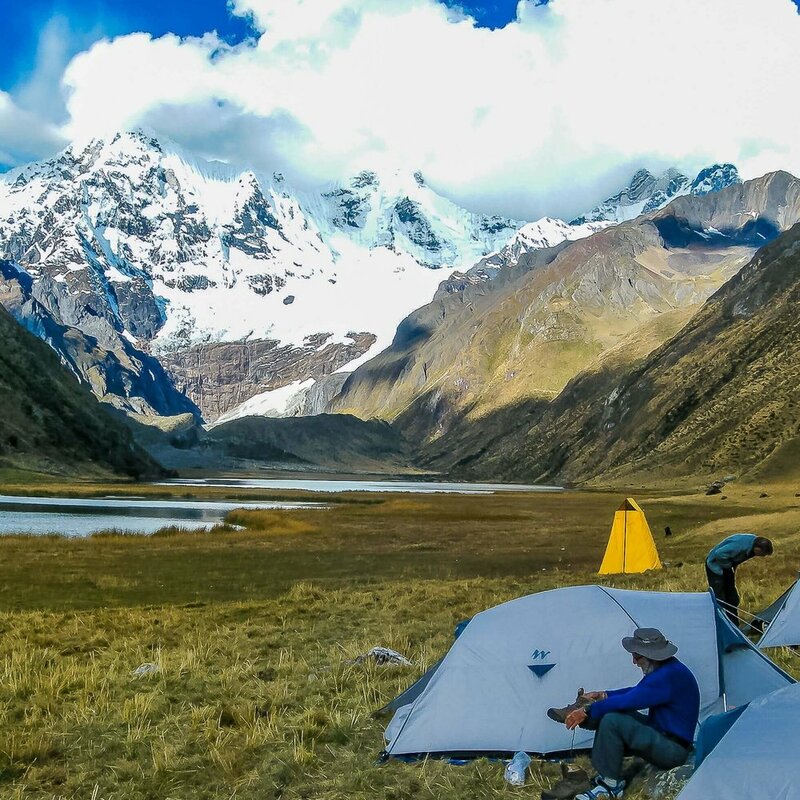 We have a long descent to Santa Rosa, where we stop for lunch before we continue to the Apurimac River and our campsite in Chiquisca. Our last dinner with our team of Horse Handlers provides an opportunity to share together in our communal dinner tent. On our last day of hiking we have a long climb to get back to Cachora where our transportation awaits to take us back to Cusco. From there, we must drive for 165 km back to the capital of the Inca Empire, with an arrival by the late afternoon. Any other expense due to delays because of natural causes, landslides, political strikes, etc.